Mike trained and qualified as a Chartered Accountant with Price Waterhouse and became the Group Accountant for Thames Television PLC in 1990, being part of the management team that turned round the monolithic former ITV franchise holder into a leading independent producer and distributor of television programmes such as Mr Bean, Minder and The Bill. He subsequently worked as Finance Director of Majestic Films & TV, the leading sales agency responsible for the distribution of films such as Dances with Wolves and Driving Miss Daisy, and British Screen, the public-private partnership owned by Channel 4, Granada, Rank and United Artists that helped finance and produce around 15-20 British and European productions per annum, including award winning films such as Sliding Doors, Topsy-Turvy, Ma Vie en Rose and Antonia's Line. 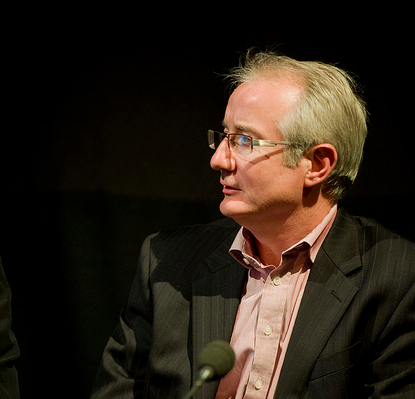 As its inaugural Head of Finance, Mike helped establish the UK Film Council, integrate its constituent bodies, create its systems and policies and make its initial investments in the development, production and distribution of films including Gosford Park, Bloody Sunday and The Magdalene Sisters. He was then recruited by Warner Bros to help expand their local language production activity in Europe and then extend it to Asia, taking a leading role in planning the expansion of its businesses and becoming responsible for finance and physical production on the acquisition, production and distribution of around 20 films per annum including, for example, Desu Noto (Death Note), Goodbye Lenin, Romanzo Criminale (Crime Story), Un Long Dimanche de Fiancailles (A Very Long Engagement), Volver and Young Adam. In 2006 Mike established Northern Alliance Ltd, a Chartered Accountancy practice specialising in providing accounting and consulting services and business advice to public and private sector clients operating in the entertainment and media industries. Northern Alliance has provided business advice to clients as diverse as Aardman Animations, Royal And Derngate Theatres and Octopus Investments, the largest Enterprise Investment Scheme (EIS) provider in the UK. Northern Alliance also advised Film London on the finance, physical production and business affairs of projects it supported via its ‘Microwave’ programme including the 5 times BIFA nominated Shifty, Ben Drew’s Ill Manors and 2014 Sundance opening film Lilting. Other productions Northern Alliance has provided advice on include Control, Tyrannosaur and This is England ‘86. Northern Alliance also pioneered and helped deliver ‘Take 12’, the digital innovation programme that has assisted over 40 businesses understand and seize the opportunities presented by the Internet. Public sector consulting work includes the first ever comprehensive examination of the corporate finance of the UK film industry, the most detailed analysis yet of the UK’s low and micro budget film sector and, with Ipsos Mori, the most extensive examination of what the UK public think and feel about film; ‘Opening Our Eyes’. A NESTA creative business mentor, Mike has also helped deliver teaching, training and industry development programmes across the UK and overseas, including as a visiting lecturer at Cass Business School.